Silver Spring, Md. (Tuesday, October 2, 2018) – Stanley Black & Decker, the world’s largest tools and storage company and leader in engineered fastening and security, and Discovery Education, the leading provider of digital content and professional development for K-12 classrooms, today launched Innovation Generation: Making an Impact. This brand-new movement aims to inspire educators and students in grades 6-10 to empower the maker spirit within us all. 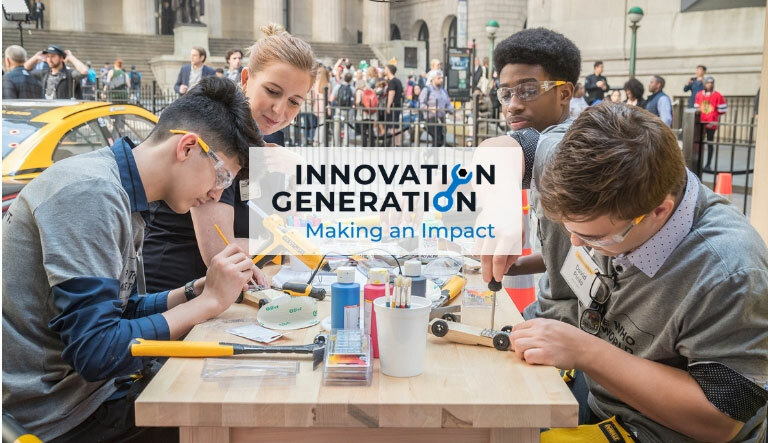 In celebration of Stanley Black & Decker’s 175th anniversary – and to celebrate the company’s inaugural Maker Month – Innovation Generation: Making an Impact is designed to engage and empower student makers in classrooms nationwide. Innovation Generation: Making an Impact complements Stanley Black & Decker’s existing maker-focused efforts – including Makerspace collaboration initiatives with universities and other organizations, global apprenticeship programs, sponsorship of WorldSkills International, and the company’s recent announcement of its Manufactory 4.0 initiative that includes job retraining efforts and the STANLEY+Techstars Additive Manufacturing Accelerator program. Resources are available at www.innovation-gen.com and will become available through Discovery Education Streaming. For more information about Discovery Education’s digital content and professional development services, visit discoveryeducation.com. Stay connected with Discovery Education on Facebook, Twitter,Instagram and Pinterest @DiscoveryEd.